… consist of a series of die-cast metal molds resembling various bug-like creatures, into which is poured a liquid chemical substance called Plastigoop, which comes in assorted colors. The mold is then heated to about 390 degrees F atop an open-face electric hot plate oven. The Plastigoop is cured by the heat, and when cooled, is removed from the mold, forming semi-solid, rubbery replicas. One of the delightful surprises of moving to Southern California is the remarkable lack of nasty bugs. We can linger outside on a summer’s evening without being consumed alive by mosquitoes and garden with abandon without being devoured by black flies, horse flies, deer flies, green heads, chiggers, gnats and ticks. Here again, there are two notable exceptions: black widow spiders and potato bugs. The former is immediately recognizable by every person on the planet. The first time I saw one up close was after I moved a birdbath. 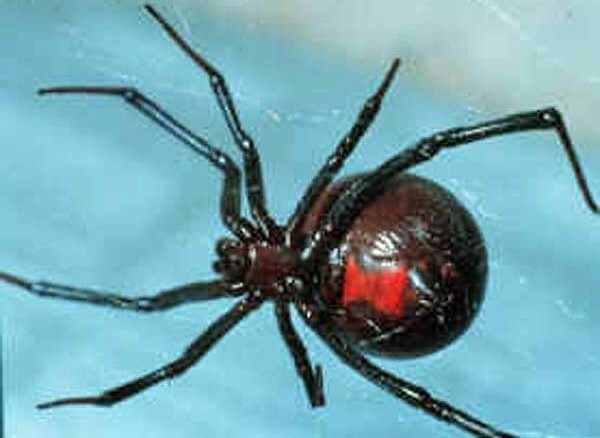 I screamed like a little girl..there it was big, and shiny black with a red hourglass on its abdomen. I swear it was the radioactive one that bit Spiderman and gave him super powers. I still scream on the rare occasion that I find one in the house, requiring prompt male intervention. The first time I saw a potato bug emerge from the muck, on the other hand, I went straight to denial. I had no idea what I just saw, and did not want to. It wasn’t until native Californians regaled me with tales of potato bugs crawling into sleeping bags, drowning themselves in pools, and terrifying pets that I was able to look them up on the Internet and deal with my PTSD. The potato bug or Jerusalem Cricket, not to be confused with the potato beetle, is more a garden nuisance than an agricultural pest…one that approaches the horrifying size of a baked potato. Just add stripes, giant grasshopper legs, a big bald head with beady black eyes and antennae. Apparently they hop. I don’t want to know this. Mostly, I find them dead. One was even skewered on a cactus. I have somewhat more sympathy for them now that I know that they perform the same function as earthworms in other parts of the world. 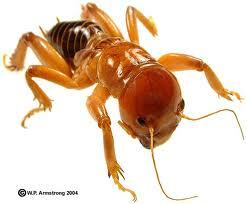 Unlike black widow spiders, potato bugs are relatively harmless. I don’t know anyone who was bitten by one, just universally grossed out. The Navajo call him “Woh-tzi-Neh” (Old Bald-Headed Man). In Latin America, he’s “niña de la tierra” (child of the earth). Others call him Satan’s fetus. The list goes on. Sweet dreams, and don’t let the bed bugs bite!